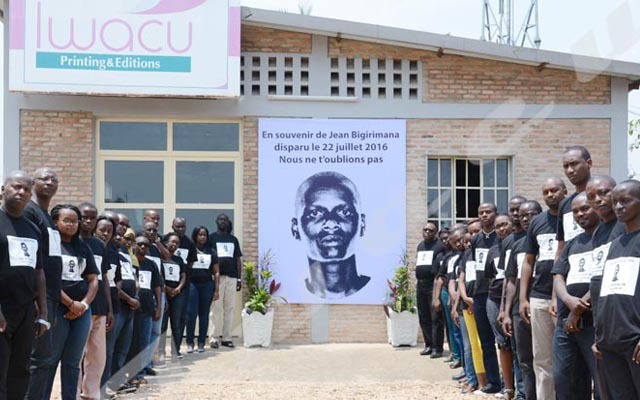 14 years after the massacre of more than 160 people mostly made of Banyamulenge refugees from Congo in Gatumba area of Bujumbura province, survivors still demand justice. Nkubana Vyabagabo, a representative of Banyamulenge living in Burundi, says he does not understand why Burundi justice has not yet judged the perpetrators when it said they are known.” Burundi government announced at the funeral of the victims that Agathon Rwasa, Pasteur Habimana and their rebel movement were responsible for the crime. They themselves made confessions on an international radio station claiming responsibility for the attack, “he says. Vyabagabo says they remind Burundi justice each year about their case but they have not got any answer so far. We have also lodged a complaint in the International Criminal Court-ICC, he adds. Pascal Ntahonkuriye, Secretary General of AC-GENOCIDE CIRIMOSO, an association that fights against genocide, says there is no guarantee of peace and stability in a country where crimes are not punished. “Whoever has committed crimes against humanity should be brought to justice and punished. There cannot be peace unless criminals are punished”. Agathon Rwasa, the then leader of FNL rebel movement, says those who claimed responsibility for the attack should shed light on it. “The one who claimed responsibility for the attack should be asked,” he says. The article found on Human Rights Watch website says that Pasteur Habimana, the then spokesman for FNL rebel movement, justified the attack by claiming the camp was sheltering combatants and that the refugees were armed. The government was not represented during the 14th commemoration of the massacre of more than 160 people which took place in Gatumba on August 13, 2004. Iwacu has tried to get the reaction of the Supreme Court over the case but to no avail.